Their support for Lega’s leader is beyond doubt but missing the kick-off of the new group that is supposed to take over the EU after the elections in May shows at least a lower degree of involvement from Salvini’s traditional allies. And it follows snubs from Orbán and Kaczynski, who both declined, for now, the invitation to join forces in a bigger European far-right group. 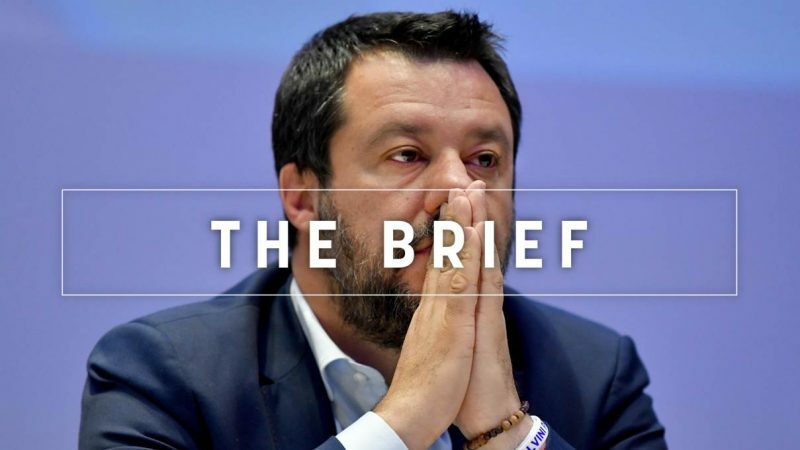 However, Salvini had the opportunity to present three new entries: Germany’s Alternative für Deutschland (AfD), the Danish People’s Party and Finland’s True Finns Party. Jörg Meuthen from the AfD told reporters that the new group would involve at least other 10 parties. Salvini is going to try again and bring more people on board in a larger event in Milan on 18 April. The rally will be in the iconic Cathedral Square and open to all Eurosceptic, anti-migration, nationalist and far-right wing parties. The new group’s stated goal is to change Europe, bring about a radical change in a brave new EU without destroying it. But there is nothing new in the attempt to merge nationalist forces and the politicians who should get it done are hardly new either. To mention but one great example: before becoming the loud leader of right-wing Lega, Matteo Salvini was an MEP for eleven years. In Koblenz, more than two years ago, Le Pen presented a united front of far-right parties, together with Salvini, Geet Wilders of the Dutch Freedom Party and former AfD leader Frauke Petry. Ever since, the nationalist Internationale has always been sung out of tune, an anthem played by ear in an orchestra of self-centred soloists most of the time. The nationalist paradox is particularly evident in the new alliance between the Italian nationalists of Lega, a party that has always seen Germany as Europe’s underlying bane, and the German Eurosceptics in the AfD, a party that labelled Italy’s last budget law, drafted by Lega, “insane”. What nationalist parties have failed to do over the years is to understand and address the North-South fault line in Europe, which feeds on the lack of economic, social and political coherence between the member states. The result is a union of intentions forged largely, if not entirely, on the strength of Europe’s migration crisis. Today, Salvini said the new group is aiming to be the biggest one in the European Parliament. However, the success of his group does not depend on numbers. Because if they want to play together, it is more important to have their instruments in tune, rather than have a myriad of them, each playing for itself. Brace yourself, European elections are coming! EU institutions have put their cyber systems to the test in a bid to assess the efficiency of responses to attacks against critical network infrastructure. The next step in electronic warfare? Targeted manipulation of global navigation satellite systems by Russia is a threat to aviation and maritime safety, a new study has found. Austria will extend its border controls for fellow EU members Hungary and Slovenia until at least November. Meanwhile, the EU piles pressure on Libyan commander Khalifa Haftar to halt the Libya offensive. Paris and Amsterdam have both penned national pacts that go beyond what EU rules on plastic waste stipulate. Norway’s giant oil fund, the world’s largest sovereign wealth fund, is to plunge billions of dollars into wind and solar power projects. Want to know what shakes Europe? The Capitals brings you insights on the day’s political headlines from our newsrooms across Europe. Subscribe here. EU affairs minister meeting for the General Affairs Council in Luxembourg tomorrow. On the agenda: Article 50 and the rule of law in Poland & Hungary.